A leaked set photo from Star Trek: Discovery suggests that the show will feature yet another radical redesign of the Klingons, everyone's favourite psychotic-but-honourable warrior race. The Klingons first appeared in the original Star Trek in 1967, in the first season episode Errand of Mercy, and were portrayed as humans with dark make-up. They appeared in six further episodes of Star Trek in a similar vein. 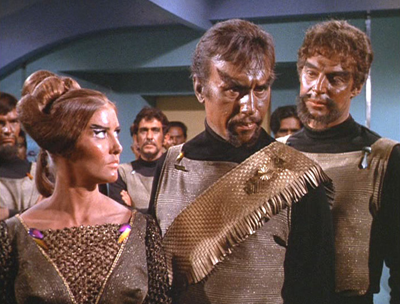 The Klingons as they appeared in the original Star Trek episode Day of the Dove (1968). Realising this was a little cheap, they were redesigned for their brief appearance at the start of Star Trek: The Motion Picture in 1979 and gained their familiar forehead ridges and long hair. This look was confirmed in Star Trek III: The Search for Spock in 1984 and remained a constant design all the way to the end of Star Trek: Enterprise in 2005. However, both Star Trek: The Next Generation (1987-94) and Star Trek VI: The Undiscovered Country (1991) refined the look of the race further with numerous different forehead designs and hairstyles. 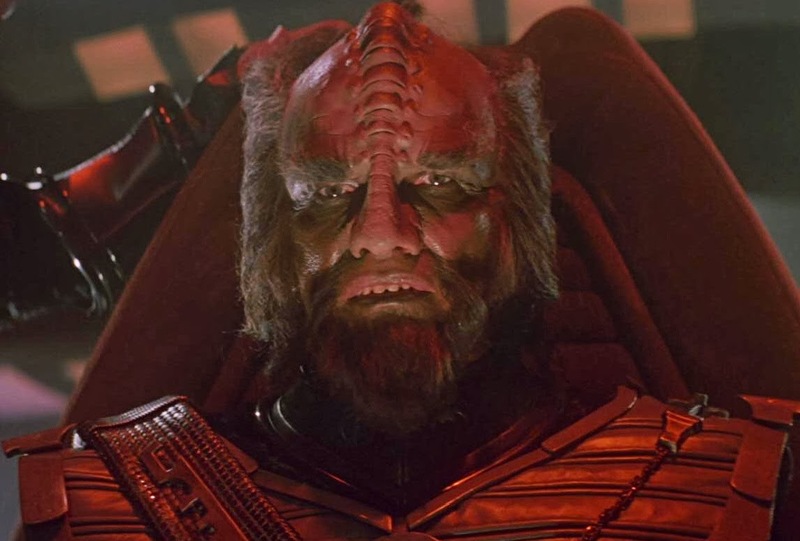 The Klingons as they appeared in Star Trek: The Motion Picture (1979). With minor refinements, this look would remain constant until the end of Star Trek: Enterprise in 2005. For Star Trek: Into Darkness in 2013, J.J. Abrams gave the race another makeover, giving them a more symmetrical skull shape but overall still a refinement of the established look. 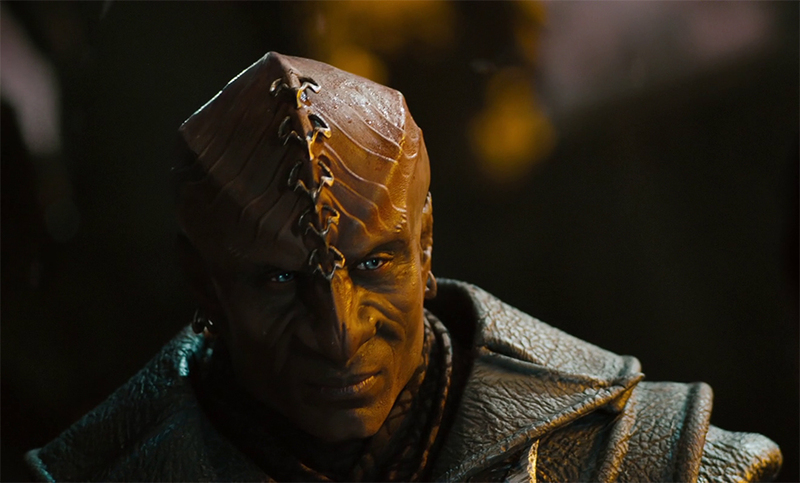 The Klingons in Star Trek: Into Darkness (2013). The "new" Klingons appear to be hairless, with extensive ridges along the skull that go right round the head and sides, along with elongated and near-conical heads. They really don't look much like Klingons at all. 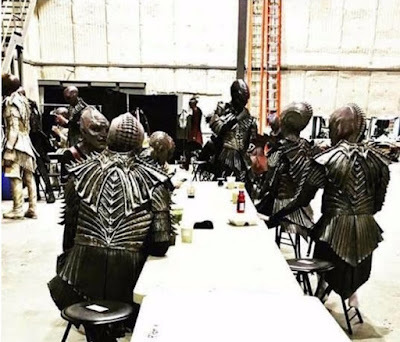 This has led to speculation that these are either new aliens or a servitor race or sub-race of Klingons (something theorised in spin-off fiction but not the main series). If they are Klingons, it is a baffling choice to redesign them. Much has been made of the fact that Star Trek: Discovery is set in the original or "Prime" timeline, ten years or so before the events of The Original Series. Using either of the first two designs would make sense (CBS do not have the rights to any designs from the Abramsverse movies, so would not be able to use the Into Darkness appearance), but redesigning them so they don't look like Klingons any more is both unnecessary and does little but alienate a fanbase already sceptical of the new show's poor design sensibilities and status as yet another redundant prequel. Hopefully the producers will confirm what's going on soon. I'm consistently confused and concerned by all the news I hear coming from this show. Redesigning the Klingons (again) seems to be a terrible idea. This is either going to be a complete train wreck or the best Trek ever, who knows!